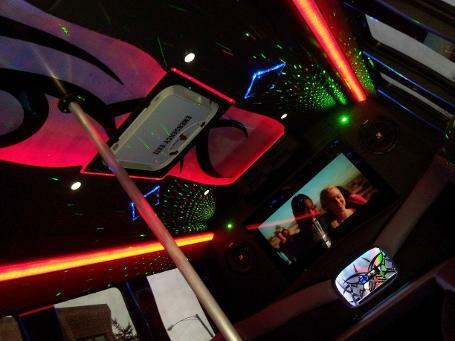 Ride to the baseball game in style on one of ChiTown's fleet, and prepare to BYOB and listen to music the entire way instead of worrying about navigating traffic. Your adventure includes being picked up and driven to the game, and then driven back home within 30 minutes after the game ends. If you want to bring alcohol aboard, everyone must bring a valid ID to show that they're at least 21 years old. Though Saturdays and tailgating trips are not included with this voucher, any other day of the week is fair game -- just pick which field will be your destination. 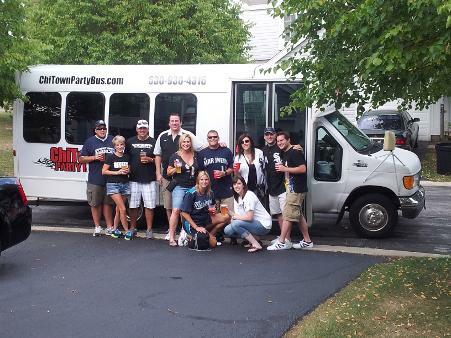 GROUP DEAL DOES NOT INCLUDE 20% DRIVER GRATUITY! WHICH IS BASED OFF OF FULL RATE! Have you already purchased through Groupon/Livingsocial yet? WRIGLEY FIELD/CUBS WARNING....DUE TO CONSTRUCTION AND THE CHICAGO POLICE, FRONT/CLOSE DROP-OFF AND PICK-UP IS NOT GUARANTEED. THE POLICE HAVE BEEN >>MAKING<< BUSES DROP/PICK-UP ON THE CORNER OF IRVING PARK RD AND CLARK ST. THAT MEANS YOU WILL HAVE TO WALK TO US AT THE END OF GAME. 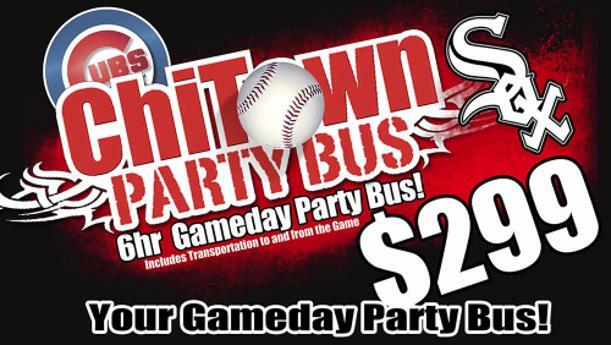 * TICKETS TO GAME NOT INCLUDED, BASIC ROUND-TRIP TRANSPORTATION ONLY....PLEASE READ!!!!!! Must sign waiver. Cubs and White Sox home games ONLY! Credit card required at booking along with a $200 security deposit to hold date and refundable 24-48 hours after event as long as no additional charges occur, DRIVER GRATUITY OF $120 WILL BE DEDUCTED. All dates are based on availability. Must use promotional value in 1 visit. Valid for up to 10 or 18 passengers. Valid within 30 miles of either park, extra fees may apply if further. Valid Sunday through Friday only. No Saturday games. BYOB. Pick-up 1 to 1.5 hrs before game and based on distance. Return/leave 30 minutes after game, after 45mins waiting time is charge $4 per minute. Valid for 1 pick-up and drop-off only. Six hours includes wait time, drive time, rain delays and adjustment for traffic and no cash/time value. Over 6 hours is charged $4 per minute. 20% gratuity not included and based off of normal/valued rate of $600 which is $120. No Parking/Tailgating. No refund on canceled games. Merchant is solely responsible to purchasers for the care and quality of the advertised goods and services. WARNING....due to the construction/police at Wrigley Field drop-off & pick-up may require walking to and from vehicle, we do not guarantee close drop/pick up.